We’d like to introduce some of the newest employees of the Office of EMS. Please read on to learn more about our new staff members and join us in welcoming them to the team! Keith Roberts is the Virginia Office of EMS (OEMS) Human Resource Analyst and comes to OEMS with more than 11 years of experience working with the Commonwealth of Virginia. Previously, he was employed with the Indigent Defense Commission, where he served as Office Manager for the Richmond Public Defender’s Office. During his tenure there, he received his undergraduate degree in Business Administration from the University of Phoenix. He is currently working towards his Master of Science in Human Resource Development, which he plans to complete by this coming October. Keith is extremely experienced in organizing and collaborating with colleagues and other staff to tackle various projects. In his free time, he enjoys traveling and spending time with family and close friends. He is very excited to be on board at OEMS and we are happy welcome him to our team and look forward to working with him. Ron Passmore accepted the position of Regulation and Compliance Manager for the Virginia Office of EMS (OEMS). Currently, Ron is the Chief of EMS at Galax-Grayson Emergency Medical Services, where he has worked for the past 10 years. He has been a paramedic since 1987, and originally attended the paramedic program in Winter Haven, Florida. 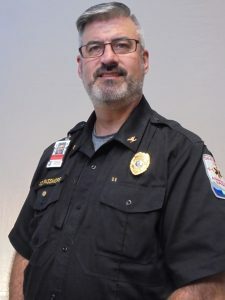 Since 2011, Ron has served as lead faculty for the EMT to Paramedic courses, which are under the paramedic program at the Southwest Virginia Community College Galax campus. Additionally, Ron has served on the State EMS Advisory Board, Executive Committee of the State EMS Advisory Board and numerous committees, including serving as Chair of the Training and Certification Committee. Ron will bring many years of experience to the Regulation and Compliance Division, not only through his expertise in EMS but also in Cardio-Pulmonary Perfusion and business management. Ron is very enthusiastic about this new challenge and looks forward to working with EMS agencies and personnel across the Commonwealth. He will be a great addition to the dedicated and talented staff at OEMS and we look forward to working with him. Ron will officially start working at OEMS on April 25. Beginning March 12, 2018, William “Billy” Fritz assumed the role of Basic Life Support (BLS) Training Specialist at the Virginia Office of EMS (OEMS). Billy has a strong background and knowledge in the EMS field and education. He comes to our office from Prince William County Fire and EMS where he was the EMS Education Program Director. His background includes working with electronic media, which will help advance the OEMS’ integration with technology. Billy’s previous experience includes being a volunteer and career EMS provider, a director of a nationally accredited EMS education program and operating within a number of state EMS systems. We are excited to welcome Billy to our team. 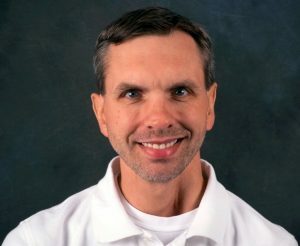 The Virginia Office of EMS (OEMS) recently created a new division, Community Health and Technical Resources, and the manager of the new division is Tim Perkins. 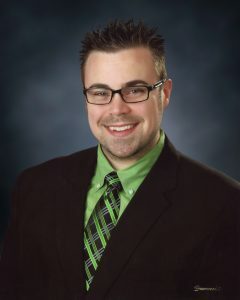 Prior to accepting this position, Tim worked for OEMS as the EMS Systems Planner, since 2006. He brings his own unique perspective, knowledge and experience to the division. Tim assumed his new responsibilities in the beginning of March and recruitment for the EMS Systems Planner position will begin soon. Health care is rapidly transitioning from traditional fee-for-service models to patient-centered, value-driven and outcomes-based delivery systems. EMS is uniquely positioned to support our nation’s health care transformation by filling the gaps in local health care and community services with 24/7 medical resources that improve the patient care experience, improves population health and reduces health care expenditures.